Byzantine Empire Activity - HISTORY'S HISTORIESYou are history. We are the future. By moving the capital of the Roman Empire to Byzantium in 330 CE, Constantine not only created one of the world’s great cities, Constantinople (now named Istanbul), he also laid the foundation for one of history’s great empires, the Byzantine Empire. 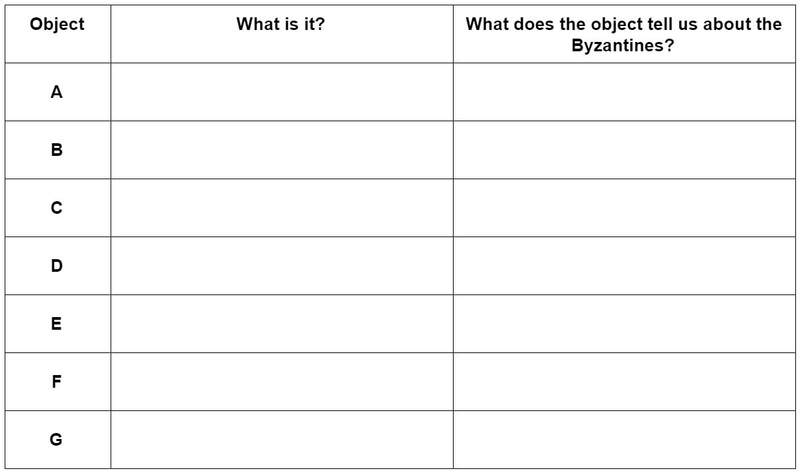 This activity will challenge you to identify some of the traits that made the Byzantine Empire so great. All historians love trash. Trash talks. More than telling us what people throw out, trash tells us how people live. At the time of it’s peak, Constantinople was 20 times larger than London or Paris, so there was a lot of trash! More, at the time that the west was in decline, Constantinople continued to value art and education. For this activity, I want you to sort through a Byzantine trash heap. As you sort through this Byzantine trash heap, look for clues to what made the Byzantine Empire great. The items pictured above all came from a trash heap in Constantinople. Each object tells us a bit about the Byzantine Empire. In the chart below, do your best to identify the object. Good guesses are OK. 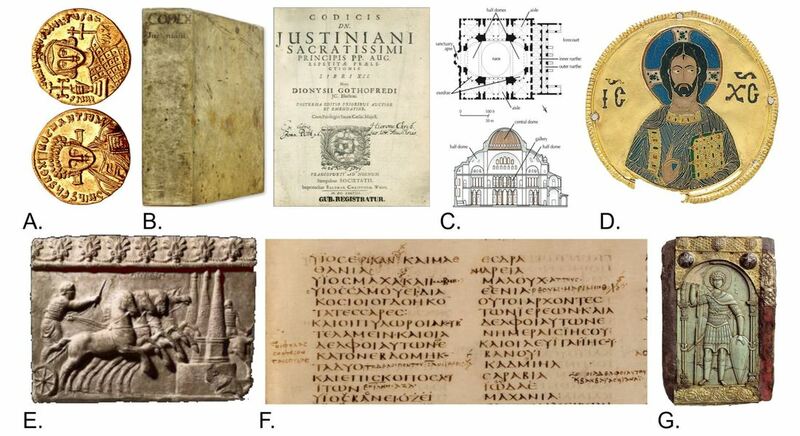 Even more important, use your reading and your Brainbox to come up with an idea of what the item tells us about the Byzantines. What part of Byzantine culture is shown here?